Lightning Bolt is a fastener manufacturer and premiere supplier of 304 Stainless Steel Anchor Rods in many different styles and materials. Stainless steel anchor bolts are commonly used during civil construction that is around marine conditions. Common materials include 304 stainless steel anchor bolts and 316 stainless anchor bolts. Lightning Bolt can manufacturer any size of stainless steel anchor bolt for your project. Including similar items such as anchor cages and even barrier pins. Depending on its use, the thread length on the anchor bolt and the overall length of the bolt can vary from as small as 4 inches to 39 inches and more. When it comes to the most frequently used anchor bolt, the most common size is 5/8 of an inch thick and 12 inches long. Engineering specs will identify exactly what size anchor bolts are recommended for the job so check those carefully. Why Lightning Bolt for 304 Stainless Steel Anchor Rods? 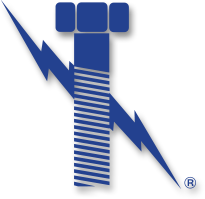 So, regardless if your application is pulp & paper, chemical, Oil & Gas, or Power Generation, email sales@lightningboltandsupply.com Lightning Bolt for all of your 304 Stainless Steel Anchor Rods needs.